Personality: Kanda comes across as cold, stoic, and arrogant, even to his fellow exorcists. In battle he will do anything to win, sometimes at the risk of his teammates. He once made a sarcastic joke about leaving them to die. It is his opinion that exorcists are not saviors. 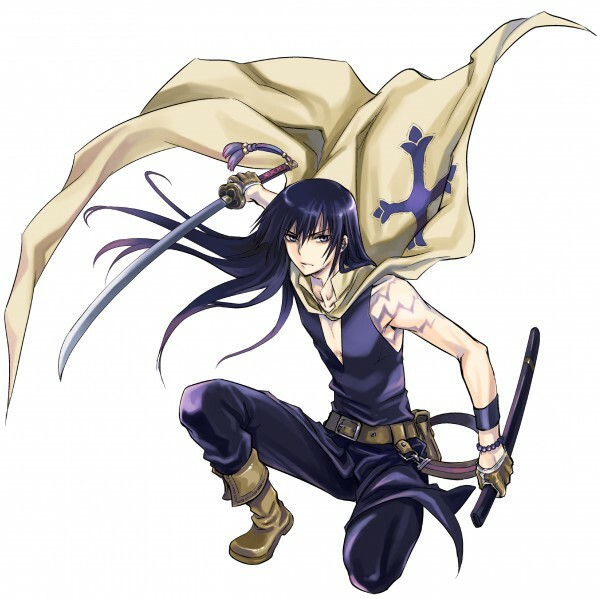 Yu is Kanda's given name, though he dislikes being called by it or even introducing himself as such. He calls Allen "beansprout" (モヤシ, moyashi, English Dub: "Short Stack"). Kanda seems to know Lavi, though he does not hesitate with his usual threats if Lavi calls Kanda by his given name. However, though he claims differently, it is clear that Kanda does care for his fellow Exorcists and the Finders, constantly stepping in to save their lives. He tends to mask his emotions and often claims, "It's none of my business." In spite of his intentions, he and Allen are often at each other's throats and rarely see eye-to-eye on anything. Kanda's personality seems not to have changed since he was young. At age nine, he was moody and easily annoyed, especially towards another "second exorcist", Alma Karma, who often followed him around. However, his final conflict with Alma seems to have hardened him further, for, though he was seen laughing with Alma as a child, no such display of frivolity has been witnessed since then. Kanda's favorite foods are soba noodles and tempura (especially pumpkin, shishitou [a small, sweet green pepper], and lotus root). Kanda dislikes many things, to the point that "there are too many to write down". However, Kanda himself points out that he hates people with naive personalities, people who do not keep their promises, cursed people, people who cannot keep their mouths shut, people who call him by his given name, and "sweet things". On Kanda's chest is a tattoo that is the seal of his Second Exorcist regenerative abilities. Though the ring around the symbol changes (seemingly depending on the severity of his injuries), the symbol in the center remains the same; it is a variant of the symbol for "Om", a symbol/sound/syllable featured in such religions and belief systems as Hinduism, Jainism and Buddhism. Weapon Appearance: Mugen (六幻 (ムゲン), Roku maboroshi (Six Illusions)). 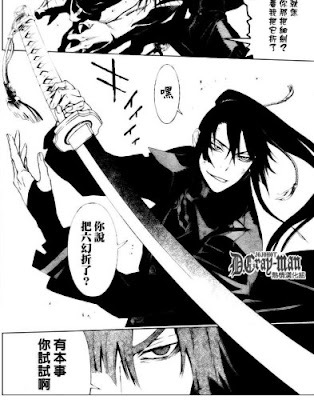 Kanda has a sword with supernatural powers. He runs his index and middle finger through the back of the blade to activate it, whilst saying Mugen Unsheathe, Innocence Activate, which turns the blade silver. The shape of the sword has changed throughout Kanda's Timeline, during his childhood, it takes the form of a small butcher blade with multiple small wings on the hilt, upon Kanda's introduction in the beginning of the series, it took the form of a chokuto (a straight Japanese sword without a tsuba) with a black cross-emblazoned hilt and sheath, but after his battle with Skin Boric, it was reforged into a traditional Katana. Weapon Abilities: First Illusion: Netherworld Insects (界蟲「一幻」, Kaichū: Ichigen): Kanda swings his sword and releases a small swarm of supernatural creatures that devour his opponents. Double Illusion Sword (二幻刀, Nigentou): Kanda covers his sword and scabbard in a coat of energy and generates an energy blade, creating two impossibly sharp weapons. The second blade that he creates over his scabbard can also be just a pure energy blade if the scabbard is not used. Eight Flowr Mantis (八花蟷螂, Hakka Tourou): Using Nigentou, Kanda quickly slashes the enemy eight times. The slashes collectively resemble a flower. Ascending Flower (昇華, Shouka lit. Sublimate): Kanda activates the power of his tattoo, and his pupils change into three dots. Veins also rise around his eyes. Once it is activated, Kanda can activate Triple Illusion. Forbidden Spell: Triple Illusion (禁忌 「三幻式」, Sangenshiki): Kanda drastically increases his speed and strength at the cost of some of his life. Because Triple Illusion feeds directly off of a being's 'life force,' Kanda can reallign and reforge Mugen's blade if it is broken as long as he has life to spare, using the command "Drink up". Exploding Spirit Cut (爆魄斬, Bakuhakuzan): Kanda needs Sangenshiki to be active to use this, and makes a slash that seems to create small explosions and is strong enough to cut through a Level 4 Akuma. Kanda can also use it with the Fifth Illusion Style. Fourth Illusion Style (四幻式, Yon maboroshi-shiki): Kanda's pupils changes to four dots and he gains another drastic increase in speed and power as shown by being able to severely damage Alma Karma. Kanda at maximum power using Fifth Illusion Style. Fifth Illusion Style (五幻式, Go maboroshi-shiki): Mugen's blade changes color and emits a large amount of dark, lightning-like energy. Like the Triple Illusion, it uses up Kanda's life, though on a larger scale. The effects of this sword also seems to give Kanda a need for destruction while sealing up the rest of his emotions leaving only his anger. When he uses the maximum power of the Fifth Illusion Style, the sword takes the same form as when he was a child, with wings emerging from the grip of the blade. Ripping Flash Claw (五幻・裂閃爪): Kanda unleashes seven sharp energy beams. History: Yu was originally an Innocence Accommodator and Exorcist of the Black Order, but he was killed by an Akuma about thirty years before the series proper. There was also a woman in his life whom he loved. Yu was "reborn" a second generation Exorcist, created by the Order, nine years previous to the current events of the story through the efforts of the Epstain and Chang families. His body was modified to heal incredibly quickly in order to sustain synchronization tests. He regularly underwent a shockingly cruel and painful procedure to force them to be able to synchronize with his Innocence, literally tearing him apart in the process. Due to his second exorcist strength and ability to regenerate, the procedure was repeated even after he had "died" several times. Although initially extremely hostile towards Alma Karma, another child of the second exorcist program, the two eventually become close friends due to their shared experience at the hands of the Order. After landing in a sewer he is washed up in front of a younger Bak Chang and Noise Marie. Eventually after a brief exchange Kanda was taken by the members of CROW to be "terminated" for learning the truth about the Second Exorcist program. The "procedure" proves a failure as Kanda's past memories of an unknown woman reanimate him and allow him to summon the Innocence of Mugen in a sword form which he uses to free himself. As he is escaping he finds an injured Marie and while examining his wound, his blood starts to heal Marie. 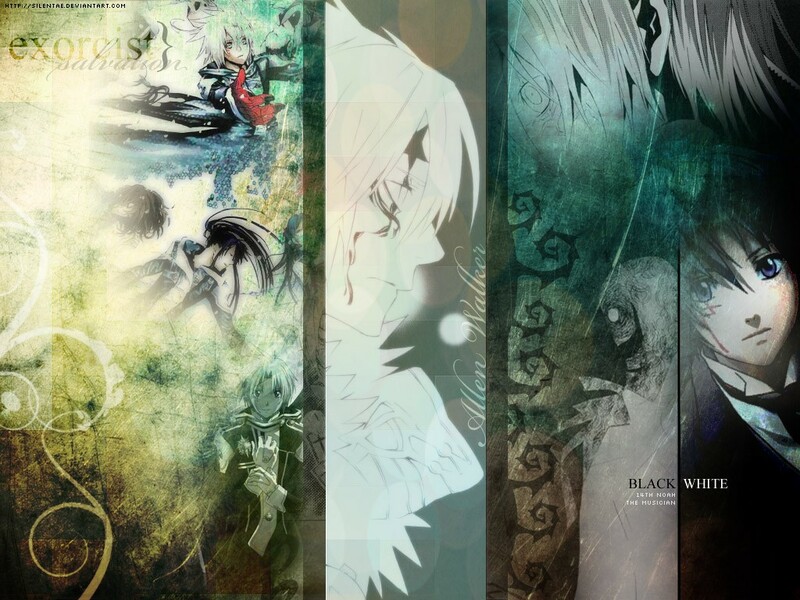 Kanda decides to take Marie with him in his search of Alma but upon finding him discovers that Alma has killed the staff of the Asian Branch and the members of CROW with his own newly-acquired Innocence. A battle ensues between a psychotic Alma and Kanda resulting in Yu's arm being cut off. As Alma explains his reasons for murdering everyone he attacks Marie and impales Kanda, leading him to find the resolve to deal a menacing blow to Alma. "Yeah, I think we ditched them pretty far behind us, eh? That's pretty stupid though, how they are so gullible that they actually BELIEVED there was a Vocaloid 3 walking around! Oh the idiots these days..." The shorty said with a grin, making Yuu chuckle somewhat. Of course, it went against Yuu's entire moral set to laugh at others, but even he could recognize that it was quite stupid of them to think a Vocaloid 3 was wondering around. Honestly, he might as well have shouted 'Hey look! A distraction!'. "Oh wow... Yeah, you've convinced me. Bottom of the food chain is heaven compared to a daily hacking or being chased by crazed fans.... How do you even DO it? And you put up with that twin of yours. She seemed a bit angry, ne? She always like that?" He said, truly convinced he was 'wrong', making Yuu smile warmly as he crouched down to the boy's level. No, he wasn't insulting the kid, he'd die before insulting someone, no, he just wanted to not tower over him. It was strange towering over others, he likes eye level or looking up, made him feel a bit better, and since the kid warmed Yuu up enough for him to let down that guard, he succumbed to his will and crouched down, now looking up slightly to the kid, his small smile still in place, the scar of his face blaring out like an angry driver's horn in a traffic jam. "I admit I d- do envy your position on th- the bottom of the, uh, f- food chain as you p- put it, but d- don't stop aspiring to be p- popular, because o- one-day you will be p- popular, and though the c- cons are so heavy it's sc- scary, the pros have their own a- area as well." He said with that unsure, but still genuine smile as he looked up at the sky of zeros and ones, of the binary data their world was crafted around, "I- I think the feeling of b- being an inspiration f- for human s- singers, and binary p- people is a w- wonderful feeling... I g- get to feel that I'm d- doing something f- for both w- worlds... And I'm a b- black belt f- fighter, I can h- handle l- little viruses, and I g- grew up with Ryuu, I'm k- kind of u- used to her s- s- sadistic p- persona... s- sort of..."
Chuckling shyly to himself, Yuu smiled again as he stood back up, ignoring the beeping on his arm's panel indicating more projects, he gestured in the general direction of the city dorms, where if this boy was under 18, he should be staying too, unless he was a hobo-UTAUloid, now that'd be interesting. "W- Would you l- like to come b- back with me? I need s- some help in s- song s- sorting, and R- Ryuu's too lazy to d- do it..."